Venice houses many treasures. San Marco, the Ducal Palace and the Rialto Bridge are just some of the best. But there are others that are tucked away, out of sight. 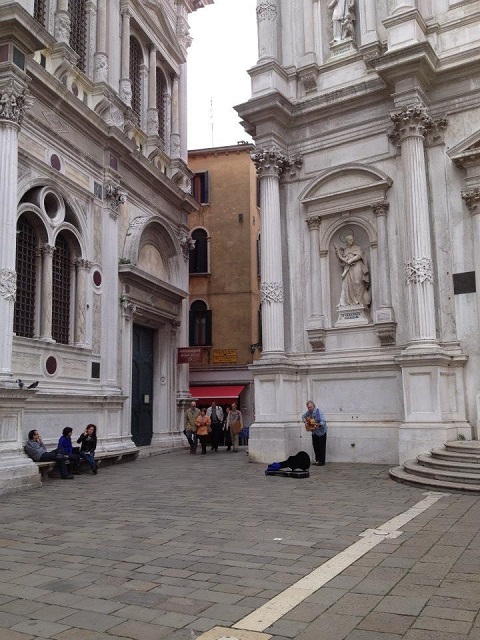 They hide in amongst the trees and stone facades of Venice. 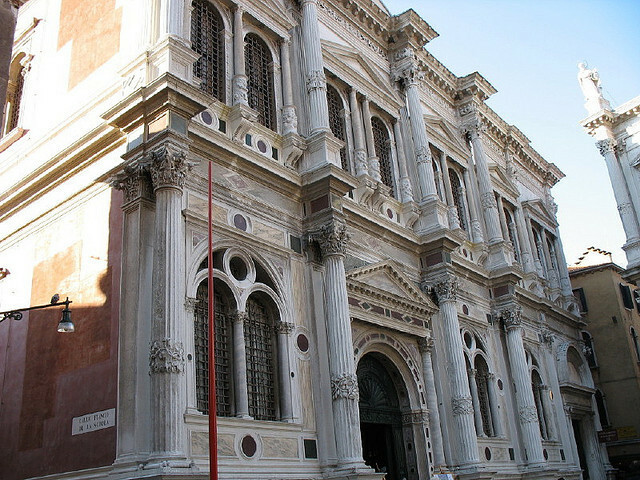 One such gem amongst the treasure trove of Venice is the Scuola Grande du San Rocco. This building, established in 1475, sails upon a sea of beautiful white stone. Its aspect is impressive and enhanced by the beautifully-carved statues and pillars that welcome passers-by. That’s what summoned me to take a closer look. The sensational stonework is what piqued my interest to what was inside. After paying a reasonable entrance fee and a welcoming smile from the staff I was greeted by what can only be described as a hall of timeless wonder. As you walk out of the sun and into the hall, you’re transported back to the height of the Renaissance period. Along the walls are biblical cartoons, depicting stories set to inspire the heart. The pillars line the middle of the hall, almost helping you to focus on the altar at the back of the room. The soft golden light shone on a figure, beckoning you to stare upon her and witness the motion she was performing. But this grand hall was just the entrance. As you follow the stairs up, you walk alongside painted murals which seem to travel with you. Stars, cherubs and biblical figures, all dancing to take you to the level above. What emerges above the white entrance is an even more magnificent room. This is the room of Saint Roch. His body lies amongst a grand stone altar, surrounded by saints and disciples, all watching him rest for eternity. The ceiling is home to a family of angels and saints. They all stare down at you while you stare up at them (luckily mirrors are provided, though it does start to hurt your eyes after a while!). Carved characters representing the everyday citizens of Venice complement the medieval wooden panelled walls. Above them sits the most incredible carved stone. The 21st century has not touched this place. It stands in time. 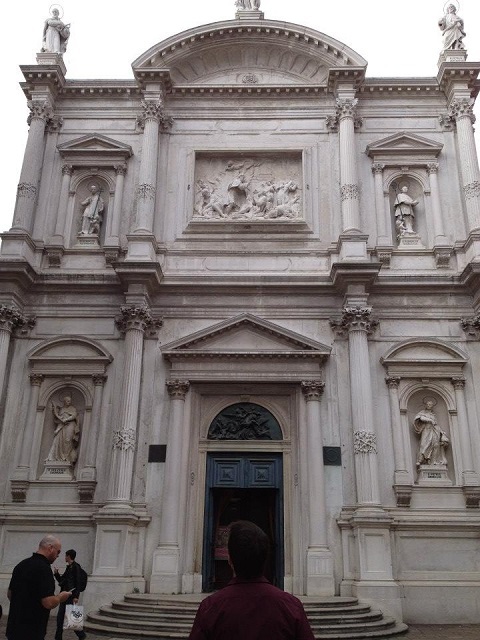 You could almost hear the footsteps and chanting of Venetian priests and monks praising and praying to Saint Roch. The candle light flicked away in the corners, allowing the paintings to dance and captivate your attention. The air was silent and still, creating an atmosphere of importance and faith. Now I am not a religious man but this temple of enlightened bliss made me forget the modern world. It grabbed me and transported me back to a time when God was the spoken word, where the acts and stories of the Sainted Healer, inspired visitors and pilgrims. 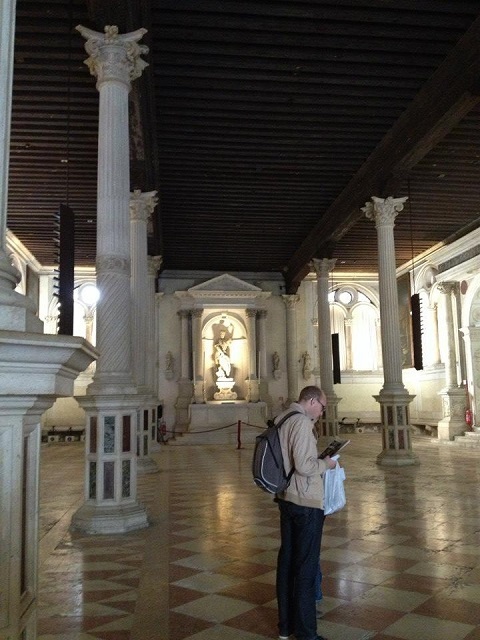 It gave me a glimpse into the religious past of the Venetian people. Scuola Grande du San Rocco is a breathtaking place and one of my favourite buildings in the city. If you are looking to understand the history of Venice and want to understand how the Renaissance inspired the people of not just Venice but Italy as a whole, then this is the perfect place to start. An inspiring place to visit. Concierge tip: Summer and Autumn are great times to visit Venice, particularly this year during the Biennale di Venezia 2015 with its wealth of cultural events. 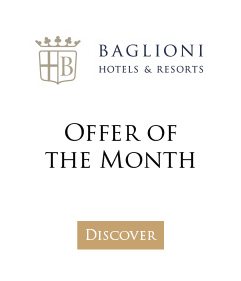 And for a spontaneous visit you can take advantage of the special Baglioni Last Minute rate with 15% off!